Advance hybrid fuel saving technology meets strong, reliable performance in the agile Honda CR-Z, a favorite among Middletown and Mechanicstown drivers. Thanks to its hybrid drivetrain, high torque power is at your disposal at every turn, lending to quick acceleration and sporty performance. This performance is also matched with a bold, aggressive design, making the 2014 Honda CR-Z both look and act the part of a next-gen roadster. With the same starting price, greater available torque power, and a much higher fuel economy, the CR-Z might be a good alternative for drivers looking at the 2014 Scion tC. Here’s a closer look at how they match up. 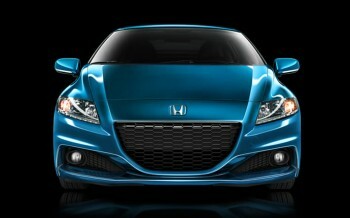 So how does the CR-Z’s hybrid drivetrain translate into power? A combination gasoline-electric set-up, with no external charging requires, helps to deliver 122hp and 140 lb-ft of electrical torque at 1000 rpm in manual transmission models (torque averages at 120 lb-ft for models equipped with the continuously variable transmission). The Scion tC offers great performance, but there is a trade off. Fuel economy in the Scion drops to an estimate 23 mpg in the city and 31 mpg on the highway. The 2014 Honda CR-Z, on the other hand, achieves an estimated 36 mpg in the city and 39 mpg on the highway with the continuously variable transmission. * For a sport car, that’s pretty impressive. Curious about what else the CR-Z has to offer? We encourage you to stop by our dealership to learn more about the CR-Z, as well as check out the rest of Honda’s current inventory. Middletown Honda is located at 520 Route 211, a short trip from Mechanicstown and many other communities around the OrangeCounty area. If you have any questions about the CR-Z, we encourage you to contact the dealership.